One of the most common assumptions people make about 3D printing is that plastic must be recycled and reused over and over again. Unfortunately, it’s not. When you get a failed print, you have no simple way to get that material back into a filament strand that you could use again. Some companies, however, are looking at ways to reuse failed prints and other types of plastic waste, from beverage bottles to doors that may otherwise end up in landfills or the oceans. Refil in Holland supplies recycled ABS made from car dashboards and polyethylene terephthalate (PET) from plastic bottles. The company is also investigating the use of recycled high-impact polystyrene (HIPS) generated by waste plastic from domestic appliances such as refrigerators. As you might expect, this recycled 3D-printing filament is supplied on eco-friendly recycled cardboard spools. 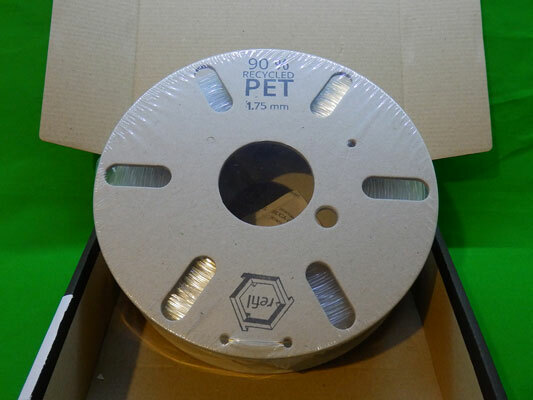 A recycled cardboard spool with recycled PET filament from plastic bottles. The most common way to transport coiled 3D-printing filament is on a plastic spool, which can be around 20 percent of the total shipping weight and is usually discarded after use. Filaments also come in all shapes and sizes that you somehow need to fit on your 3D printer. Few standards exist for size of a spool of 3D-printing filament. If you are lucky, the most common types usually have 750g or 1Kg of material and a 50mm hole in the center. Some 3D printers now have added mounting methods for a typical spool, but just as many leave it to the user to decide what to do with several hundred meters of tightly spooled filament coils (that will tangle and jam halfway into a multi-hour print if they’re not carefully managed). Some manufacturers are starting to use cardboard or recycled filament spools. 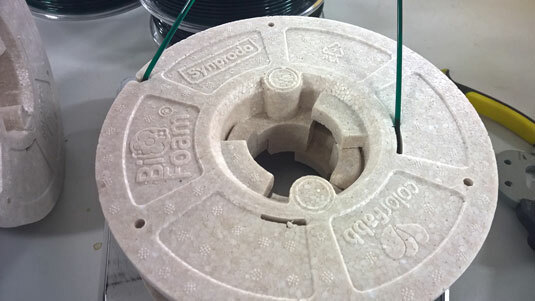 ColorFabb is taking this process a step further by introducing a lightweight BioFoam spool for the 3D-printing market. This material starts as PLA beads that expand when hot steam is added to a metal mold. A lightweight, sustainable 3D-printing filament spool based on BioFoam. Because the Bio-foam is PLA based it can decompose or be recycled for further use. 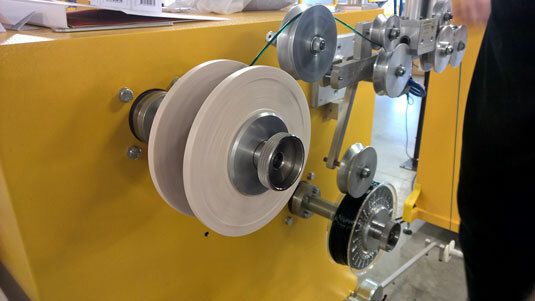 Instead of having a warehouse of heavy empty plastic spools awaiting filament production, these bio-foam spools can be made on demand directly from beads to the filament production line as required, using less space and ultimately costing less to ship to the user. Instead of importing and stockpiling regular plastic spools, the Bio-foam core can be manufactured on-site and used directly on the spooling machines as required.